Just west of Snowdonia, the land branches out into the ocean forming an area known as the Llyn Peninsula; one of Wales’ many hidden gems of wild coastline, plunging sea cliffs, culture, heritage, beaches, bays and fish and chips. It’s no real surprise that this coastline is protected as an Area of Outstanding Beauty, wildly beautiful and lost within a timeless charm. Nestled between the Irish Sea and Cardigan Bay, the Llyn Peninsula draws in walkers, wildlife lovers, and water-sports fanatics; with surfing, windsurfing and wake-boarding being just some of the ocean activities you can enjoy here. Not only that, but the coast makes up part of the Wales Coastal Path, meaning the area has 84 miles of designated walking paths beside the sea to enjoy. A relatively un-touristy and unexplored destination, the Llyn Peninsula is the perfect place to enjoy a summer holiday or springtime escape. Try out surfing, walk the coastline, eat Welsh cakes in a local cafe, or enjoy the slow pace of life in one of the area’s little towns. There’s plenty to fill a sunny or rainy day on the Llyn Peninsula. If you’re looking for a relaxed, simple campsite, with all the amenities and in an idyllic location, look no further than Towyn Farm. 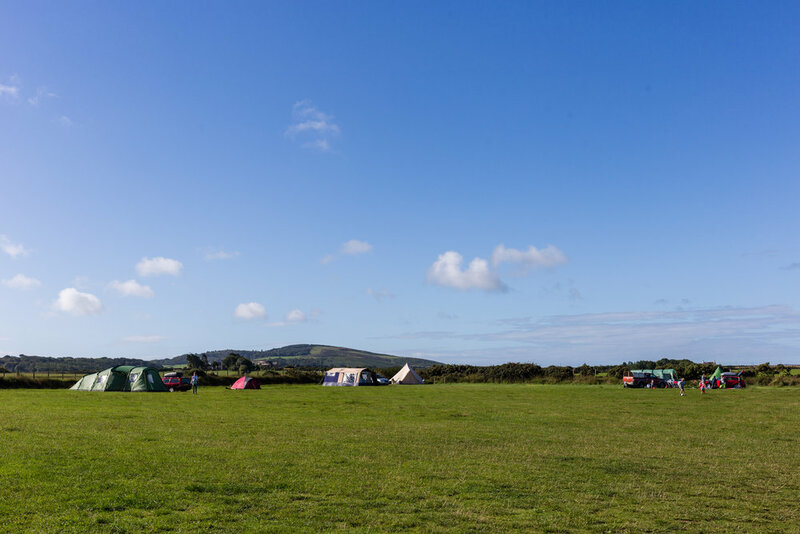 Situated on the beautiful northern coastline of the Llyn Peninsula, not far from the small village of Morfa Nefyn, the campsite resides on a working farm but a stone’s throw from the wild and rugged welsh coastline. The campground features three large fields for tents and caravans and a small toilet block with hot showers. The shop and cafe, Cwm Tats, serves toast, cake and hot drinks and sells some beautiful homewares, beauty products and clothing. There are some stunning places to explore from the coastal path by the campground, or relax on the beach on a warm summer’s day. Getting there: Join the B4417 that takes you along the Northern coast of the Llyn Peninsula, before taking a right hand lane around 10 minutes from Morfa Nefyn. The campground is signposted. Food & drink: There is a small cafe on the campground, and the nearest store is at the fuel station at Morfa Nefyn. For a larger store, head over to Pwllheli. Cost & booking: The campsite costs £15 per night for a small tent, and £20 for a family tent. You can find more information here or call to book. The beautiful beach of Porth Iago is certainly one of the most photogenic we found on the whole Llyn Peninsula. A perfect beach nestled into a bay, edged with lush, green dunes. Porth Iago is the perfect place to spend a few hours, exploring the cliffs filled with an abundance of wildflower, swimming in the deep blue waters, or simply reading a book on the sand. We’d also recommend visiting the beach via walk along the Welsh Coastal Path, linking with Porth Ferin just down the coast. Getting there: Porth Iago is situated seemingly in the middle of nowhere, down some tight country lanes. Follow a SatNav or Google Maps to reach a carpark at a farm, there are some signposts along the way. The lovely shop and cafe just off the coastal path at Towyn is a real treat to step inside. With beautiful homewares, clothing and beauty products filling the shelves, and a cosy cafe in the corner to spend a quiet afternoon reading the many magazines and guidebooks on the region that Cwm Tats offers. Otherwise, have breakfast outside with ocean views before a gentle stroll along the coastal path. A worthwhile stop for some shopping, tea and cake in an idyllic location. Getting there: As above, the shop and cafe is just opposite the campground. A walk along the coastal path from Towyn to Porthdinllaen is a brilliant way to spend the day. 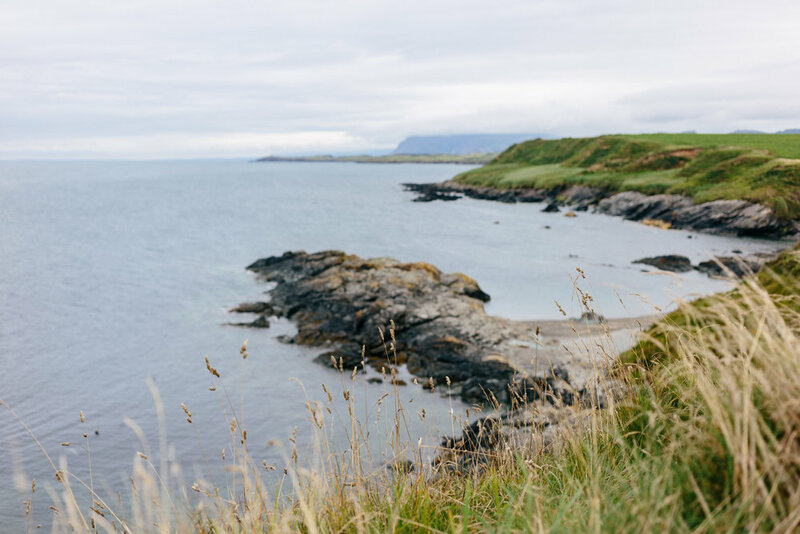 The coastline is beautiful yet varied, with hidden coves, an abundance of flora and you might even spot some seals off the shore! The path is well-marked all the way passing farm fields and dropping down into beaches, ending at the Porthdinllaen Coast Guard Station before you can wander down to the Ty Coch Inn for a drink and bite to eat. If you can’t find the energy to walk back, catch the hourly bus from Morfa Nefyn back to Towyn. Hike: Join the coastal path heading east (right) at Towyn Farm and follow all the way to the Coast Guard Station at Porthdinllaen. You can then continue along the path to the Ty Coch Inn, and then onwards to Morfa Nefyn to catch the bus back to Towyn. The hike is around 5 miles one way and is well-signposted throughout. You can park for £5 at Towyn Farm. Food & drink: Have a bite to eat at the Ty Coch Inn or Caffi Porthdinllaen at the end of your walk. Abersoch could be a good place to spend a rainy afternoon, wandering in and out of surf stores and coffee shops. The one we would recommend is Kin & Co on the main high street, serving delicious breakfast and brunch, hot drinks and homemade cake. The cafe is simple yet modern in design, and also houses a surf clothing and lifestyle store. Getting there: Park in Abersoch and wander down the main high street towards the coast. Kin & Co is situated on the right. A famous surf beach situated down a quiet and secluded lane (reached through a campsite), Porth Ceiriad is a beautiful and wild beach to explore. Walk along the sand to explore cliffs and caves, or take the costal path above the beach looking down on the ocean and stunning coastline. On a warm day, bring a picnic and watch surfers catching perfect waves. Getting there: Head south from Abersoch, aiming for the Nant-y-Big Campsite. Pass the campground to reach a carpark on the cliffs.